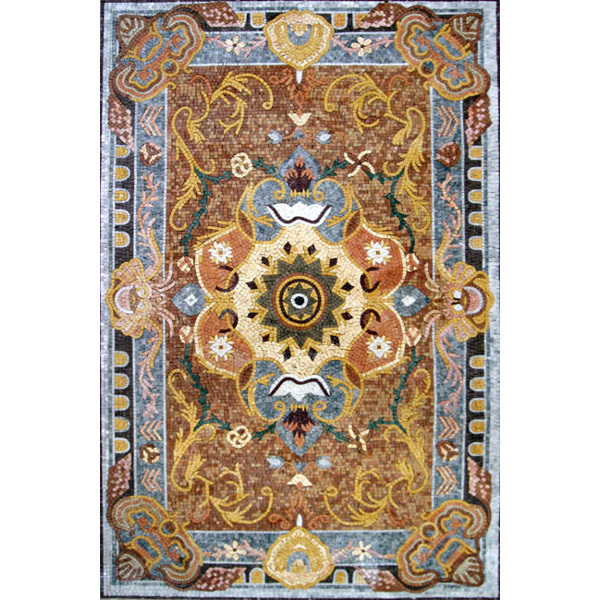 Agape Tile uses marble and other natural stones to create standard or custom carpets, medallions and murals. Our custom stone mosaics may be used for commercial and residential interior and exterior walls and floors, including swimming pools and spas. All designs may be customized for artwork, size, color choice, finish and mosaic intricacy to fit your particular budget and design needs. Custom color choices are, typically, no upcharge, unless you add blue natural stone. Finished projects may be viewed on our Stone Project page. 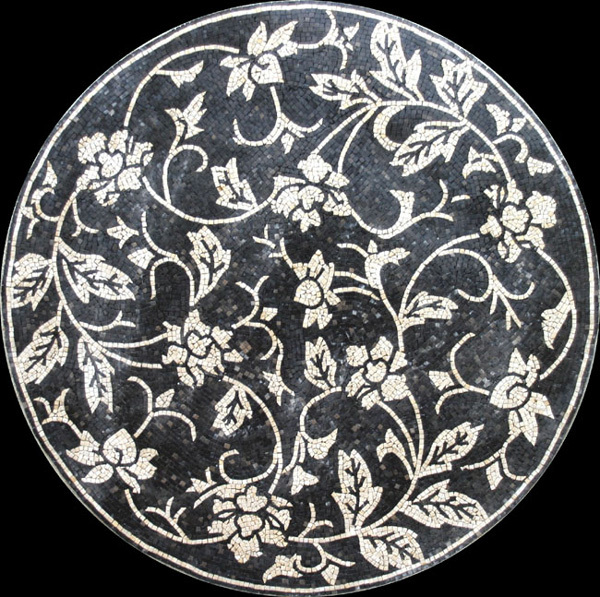 Stone murals and medallions for flooring, backsplashes, showers, pools and other installations may be ordered in uncut square stone mosaics, inlaid work, handcut mixed technique or hand cut byzantine mosaic from simple to complex. 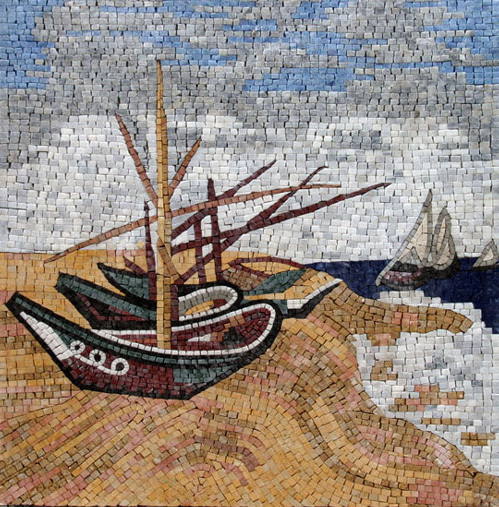 Artwork for custom stone murals may be an original design created by Agape Tile, your original artwork, an Old World Masterpiece Reproduction, non-copyrighted art or your own personal vision. Our projects have been featured on HGTV and widely publicized in numerous magazines. For a short list of our customers and our published list, please visit our Expertise page. We are pleased to say that we handle projects from one square foot to an entire building. Our manufacturing time for custom work is very short: typically two weeks for small projects to four weeks for larger murals, sans shipping time. Of course, we recommend that you order as far in advance as possible. For all large commercial stone murals or all stone pools with artwork, please call us well ahead of your desired installation date. The Principals of Agape Tile have been involved in creating projects for over 34 years and have been responsible for the artistic design and creation of projects within the continental United States, Hawaii and the Caribbean. Our expertise makes us uniquely qualified to provide highly specialized advice and artistic design services. We put years of experience in the field of hard surface mural creation, design and installation to work for our clients.